You are here: Home / Blog / Cosmetic Dentistry / Tips to prevent teeth decay and staining from drinking! As you might have heard before, there are certain drinks that can stain and affect your teeth. The most well known culprits are coffee, wine and sodas. Today we will learn more about the damage alcoholic beverages can do to your smile and what can you do to prevent dental decay from them. In the first place you need to be aware these drinks have a composition that causes enamel erosion over time, and the colored pigments reach the inner layer (dentine) staining it. 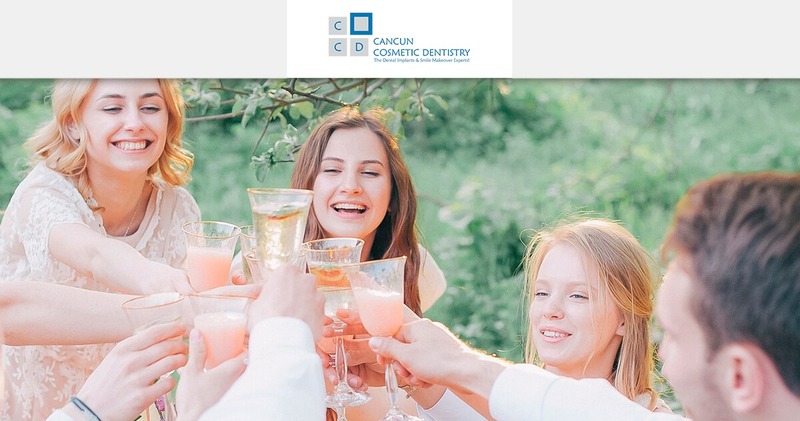 People who like to go out to social gatherings to drink must also have extreme precautions because there has been an increase of patients been treated from cavities related to drinking alcoholic cocktails. Most of the time these cocktails are sweetened with syrup or juice high on sugar, which is a big no-no for your teeth. Also, carbonated drinks pose a big problem because the fizz of carbon dioxide is acidic debilitates the enamel on your teeth and leaves it vulnerable for caries. So… what can you do to minimize this damage? Well, one of the things you can do is drinking pure water between your soda and cocktails. This will help a little to ‘wash away’ the excess sugar left in your mouth. Another option is to use a straw to avoid touching the teeth with the liquids. Obviously, you should also drink in moderation like with everything else. We should also warn you not to wash your teeth with a toothbrush right after drinking wine, champagne or other liquor because the surface of your teeth at that moment turn soft and you could damage them with the toothbrush. Natural ways for teeth whitening?